(SARAH SILBERT@ EnGadget) Quantum computing -- it's a term we're hearing more and more, as companies such as D-Wave build their own early versions of super-machines. Microsoft, naturally, is investing considerable resources in the field as well; its Station Q research lab in Santa Barbara brings together experts studying topological quantum computing, with the goal of making a vastly more powerful successor to the classical computer. 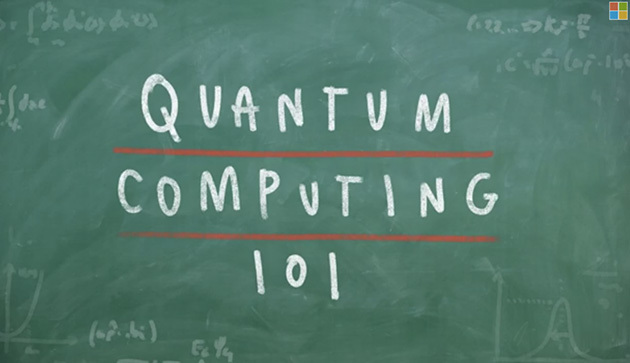 We've covered some quantum computing milestones in the past, and while you might have a basic grasp on the difference between qubits and bits, Microsoft's Quantum Computing 101 video -- published below -- is a well-done explainer, putting the implications of this research in human terms. For a deeper dive, check out this long read on Station Q, detailing the researchers' complex and thoroughly interesting work.